The best string trimmer in our opinion is the EGO Power+ 15 Inch 56 Volt Cordless String Trimmer. It may seem like any ordinary string trimmer but have you heard about ARC battery cells and Fast Charging technology in a power tool? We were impressed beyond wits when we found out that EGO Co. executed a brilliant solution for battery heat dissipation, while harnessing an average of 15 minutes charging time through state of the art technology. This tool is heavily recommended to power users who are looking to make a one-time purchase from a long term perspective. Last week’s detailed rant about how to buy the best string trimmer for the money was well received by the regulars at our website. 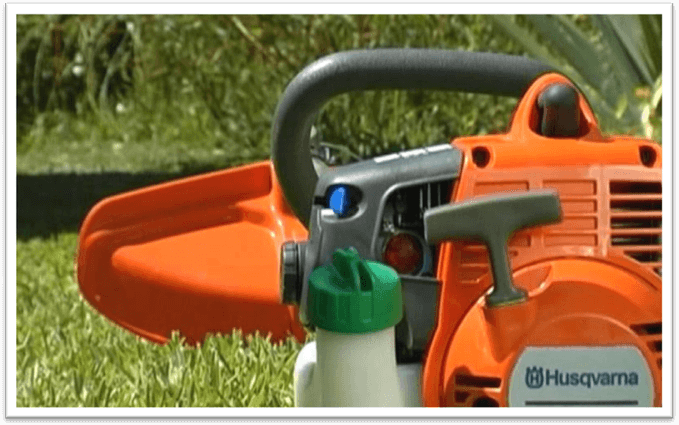 ‘Power Tool Buzz’ was ecstatic to read your emails concerning different issues related to string trimmers, pricing related opinions and vice versa. 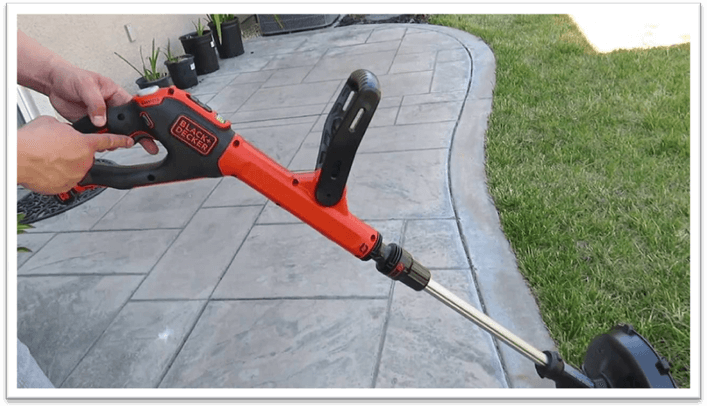 As a result, this string trimmer review post is not only a follow up to our last entry, but it also generalizes the top 5 string trimmers in 2019 – and of course, the pick of the day product for you. Surveying the market from shopping perspective and actually buying a power tool is a whole different scenario. In latter case, you are ideally investing in a product that you are pretty damn sure of. In reality, what happens is that people go on an impulse and buy something that they regret later. For instance, the string trimmer turns out to be an overkill for a small yard, or it is way too underpowered to get rid of common weeds in the first place. Therefore, it is fair to assume that buying a string trimmer, or any other power tool for that matter, can be fairly complicated. Speaking of complications, I mentioned a couple of things about string trimmer shafts in my last string trimmer buying guide. Is it okay to go for a curved shaft or straight rod? And what about plug in battery weed eaters and gas powered units? Which one would be the perfect match for your ginormous lawn? Of all the questions mentioned above, the most important thing that I, or other co-writers at ‘Power Tool Buzz’, haven’t talked about so far as common string trimmer issues. These issues are hardly addressed in reviews that are commonly available on the internet. The fact that affiliate marketers and product promoters are more interested in upselling products for the sake of the commission is all the more a common reason to avoid discussing the stark reality of having a product and getting to deal with its mechanical failures. 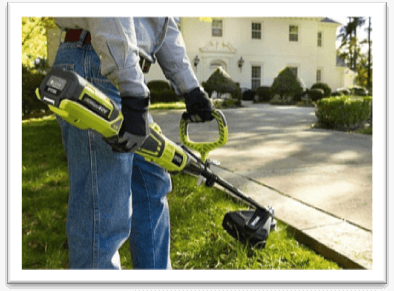 What To Look For When Buying The Best String Trimmer in 2019? How big is your yard? It doesn’t take a math genius to assess the size of one’s yard. Even if you don’t have the exact length and breadth memorize, you have a very general idea about its entire layout. Therefore, when you are out shopping for the best weed eater, you should keep your yard size in perspective. Having said that, you also know for sure about the type of plants, grass and weed that usually grows in your yard. As mentioned earlier in my last weed eater guide, not all weeds are of the same kind. Some of them are very thick, which eventually calls for a high diameter size string trimmer cutting wire. Likewise, some weeds are very thin; you could easily swath them with a standard stock wire which comes with a brand new string trimmer. In case you are looking for a new wire/ string, go to Amazon and just type down “Weed Eater” in the search menu. The results will not only suggest high quality string trimmers, but also some wires bundled up in spool formation. The important thing is that while you have your yard size in perspective, you are probably looking for a sweet discount deal. If your budget doesn’t allow too many liberties, perhaps a wired string trimmer could be squished in. These units are normally cheap and they are not too bad when it comes to relentless performance on the field. The only setback with electric wired string trimmers is their cord length. Given you yard size, you can increase the length of the cord by purchasing an extension cable. 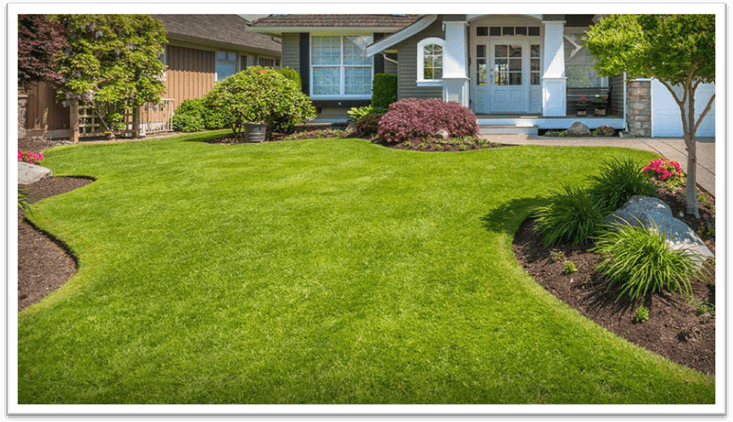 Let’s say your lawn size is 100 x 100 Ft., you will need an extension cord within 50 – 100 Ft size to be able to reach across from one end of the lawn to the other side. Yeah, no kidding; how tall are you? User height is proportional to the length of the string trimmer rod. Straight shaft string trimmers are meant for tall folks because it induces less stress on their lower back muscles. Regardless of the general analogy here, you should be aiming for one that comes with adjustable shaft length. This way not only, but your friends can also use the same product should they choose to borrow it from you for a few days. My personal choice comes down to curved shaft models irrespective of the total rod length. I find it easier to maneuver those units because they offer a sense of control and freedom of movement around tight corners. Believe it or not, some users are so adept at operating string trimmers that they are able to form lines and create designs on their lawn whichever way they want. 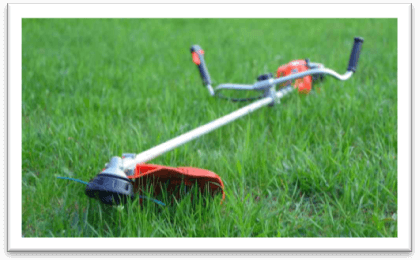 As much as the general consensus about string trimmers revolves around using them as lawn mowers, they are only meant for getting rid of weed and unwanted plants. Therefore, you will eventually need a regular lawn mower, leaf blower and any other cutting tool that might help you to get a more thorough experience from your lawn mowing chores. I like to start off with my lawn mower; the first few passes help me to cut it all down to one size and then mulch it in the lawn mower bag. Later on, I take a few steps back and observe which parts of the yard need work. If I am up for it, I might use the string trimmer right away and get done with it. Sometimes, if I am feeling tired, I use the trimmer after a few days of rest. It all comes down to personal preferences. The only important thing is that you do need a couple of tools, accessories and other equipment to give your lawn that perfect visual appeal. For those who don’t want to invest in other products, I’d suggest at least buying a grass mulcher and a bag. Using string trimmers directly on a lawn creates a mess all over the place. You will need to clean the entire area afterwards. Like any other power tool weed eaters have a bunch of issues. I find it important to talk about them because, as stated earlier, other review websites have very thin material when it comes to actually helping out potential power tool owners with troubleshooting scenarios. Therefore before jumping to our top recommendations, I am taking an extra measure to answer a bunch of troubleshooting questions. If you are not able to find the answer to your issue, please write down your query through the comments section below. This issue commonly relates to gas powered string trimmers. They have an engine and a carburetor for fuel distribution. If you have left the string trimmer in a perfect condition with a tank full of gas for the rest of the season, you should know that the fuel gets “stale” in some sense. Unused fuel coagulates those tiny fuel lines that you see connected to the weed eater engine compartment. Also, the leftover fuel deposits in the carburetor choke the internal mechanism. As a result, you will hear the string trimmer “almost” turn over, but it will cease to start. The best and only possible way to rectify this issue is by emptying the fuel tank, disassembling the carburetor and then give it a good old cleaning. You should also know that cleaning a carburetor and putting everything back together is not an easy task. It is okay to seek professional help. Of course, in this case, the “repair” will be incurring a heavy fee on your wallet. If you want to do it yourself, watch a couple of YouTube videos on how to clean a string trimmer/ weed eater carburetor. Follow the instructions to the letter and you will be in good hands. Let’s skip the carburetor discussion and take a look at some other common problems with your string trimmer. Sometimes the spark plug is not generating a spark, which is why the string trimmer engine refuses to turn over. The easiest solution is to unscrew the weed eater spark plug cap and check if the head is rusty. If you see any signs of rust, cracks or debris, take out the spark plug and clean it with a WD-40 solution. Make sure that the head is dry before you screw the spark plug back into position. Spark plugs are a very cheap accessory; you should stock up on 3 – 4 pieces as your backup. Ngix is a good company; their spark plugs are commonly available at online retailer websites and local hardware store. Check to see if the magneto is creating a spark. If you have no idea about a string trimmer magneto, you can do some background research at Google. Just like a blocked carburetor, string trimmer fuel can get choked easily. This normally happens during unattended winter season when people store their gas powered power tools in the shack. The cold weather causes gum formation inside the fuel filter, the fuel tank and the carburetor itself. The good news is that just like a string trimmer spark plug, a fuel filter is a common & easily available accessory. Just ask your local retailer for a fuel filter that fits your string trimmer. If they don’t have it, you can always order one online at eBay or Amazon without any hassles. A dirty air filter is something extremely embarrassing for professional power tool users. It is normally expected of people to be aware of minimum maintenance rituals. If your weed eater appears to be struggling, or is not working at max power, check the air filter. Chances are that it’s heavily covered in dust. The best way to clean it is through an air compressor. Afterwards, dip the filter in the filter cleaning solution and leave it for a few hours to dry. You shouldn’t have any problems afterwards. How to Avoid Possible String Trimmer Issues? It all starts with purchasing the right model for your needs. 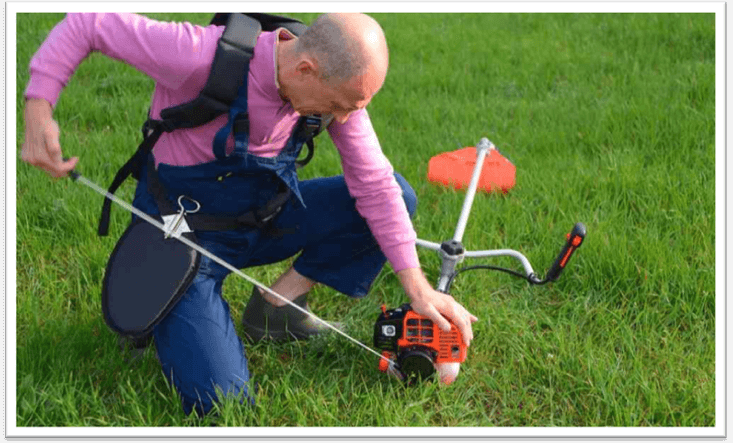 As much as some brand new companies have come up with top of the line string trimmer units, it is always a good idea to purchase something from a reliable company. Think of models released by Honda, Ryobi, Husqvarna, Craftsman, Stihl, Bosch and Weedeater Co. etc. The point in doing so is that these companies have been in the market for over a decade. Whichever product they release, their spare parts are easily available throughout hardware stores across the local vicinity. In worst case scenario, even if your favorite hardware shack doesn’t have those parts, the guy can always get them for you. This way, you are adding an extra collateral layer over your best string trimmer purchase. Not only that, but in case of any sales, your unit will always have a good resale value. Many vendors and buyers like to buy those products that come from very old companies – this way they know that they won't be wasting any money on something that doesn’t hold a solid reputation. This part is important if you have bought a two stroke gas powered string trimmer. You will need to mix the fuel to get optimal performance. Some users simply go for pre-mixed fuel bottles that are available online and offline altogether. I’d suggest that you should learn mixing just to be sure of using top quality fuel types in the long run. By the way, 4 stroke string trimmers use an entirely different fuel type as compared to 2 T’s. Therefore, you cannot use 4 T’s oil/ fuel in the conventional 2 stroke engine string trimmer. Doing so will create a lot of issues for the engine mechanism. The oil to gas ratio for two-stroke string trimmers is 1:50. It means that there should be 20 Ml of oil per 1 Litre of fuel. Many manufacturers recommend 1:25 ratio. If you are not sure about the fuel to oil mixture proportion, you can look it up in the trimmer instructions manual, or see the box packaging for any labels. While mixing, don’t use Ethanol based fuel for your string trimmer. Ethanol is a good combustion agent, but it also absorbs a lot of moisture over time. If you are not going to be using the product during winter season, Ethanol will cause major blockage in the fuel lines and the carburetor. If you have read past the above section, it is time to reveal ‘Power Tool Buzz’ top recommended string trimmer models. We spent over 60+ painstaking hours where different trimmers were analyzed against performance, cost to value ratio, durability and many other factors. Please know that this list is not conclusive and if something else tickles your fancy, go for it. Black and Decker demonstrated a flawless execution of offering the LSTE525 series string trimmer alongside a multitude of customization options. Right now at Amazon.Com, the company is selling the same unit but with or without different bundled deals. This way, you can purchase the product either as a standalone unit, or with different accessories to refine your weed trimming experience. The best part about this whole thing other than customization is the pricing factor. The base model of the BLACK+DECKER LSTE525 string trimmer is available for something under $90, while the full combo with exclusive B&D sweeper and edger are available within the range of $230 - $240 at the time of writing. Depending on your region, the price may vary, but it is an affordable string trimmer nonetheless. A lot of good things can be said about Black and Decker, such as the Easy Feed system which is supposed to run on auto. Unfortunately, it is a 50:50 scenario where the feed sometimes doesn’t let users advance the line with the press of the button on the handle. However, EasyFeed or no EasyFeed, you can still use the Black and Decker string trimmer as much as you like. Having said that, BLACK+DECKER LSTE525 is meant for light duty tasks. You could essentially use the unit on suburban lawns where there is not a lot of plant outgrowth. It is fair to assume that the trimmer’s performance is hindered because it is not a gas powered product. Since you are basically depending on Li-Ion battery juice, you should plan your passes in advance before turning on the trimmer. The great news for BLACK+DECKER’s model LSTE525 owners is that they can adjust the shaft’s length to their liking. 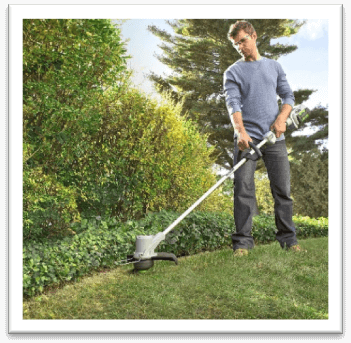 The angle of the handle can also be adjusted to some degree; this is to offer more room for movement to users who like to trim grass, or cut down weed in a specific visual pattern. Overall, BLACK+DECKER created a marvelous machine with a blend of aesthetics and performance ‘as-advertised’ on the masthead. The weed eater is idea for trimming small yards, mowing or edging around patios, and taking care of resilient weeds that take the form of a parasite. Entering Edging Mode: To enter the edging mode on the Black and Decker weed eater, all you need to do is rotate the shaft with a simple pull and twist motion. The company installed a little ball bearing/ wheel to allow for the rotation motion, which eventually helps a lot with keeping the distance of the wire string from the ground. How Does The Auto Feed System Work? The Auto Feed, AKA EasyFeed, or push button mechanism is an exclusive feature introduced by BLACK+DECKER Co. in the LSTE525 series. The system advances the string line as soon as the button is pushed, which sort of offers you control over how much weed/ grass you are cutting. The only downside in this system is that it does not always work. Some users reportedly suggested that the auto feeder system initiates whether the button is pushed or not in the first place. I like to think that this is a faulty mechanism which Black and Decker should address sometime soon in future releases of the unit. BLACK+DECKER LSTE525 comes with a standard 1.5 Amp-Hour 20 V battery. It is rechargeable and gives an uninterrupted output over 20 minutes. That’s it! If you have a 100 Ft. X 100 Ft. lawn, you better purchase some other cordless string trimmer with better battery performance. anism. As of this day, it is still unusual for us to see snow blowers with electric starters, but a lot of companies are beginning to acquire this change. Cords can be tricky; they can break and it gets tiring when you have to pull over and over again in an effort to turn the engine. At the same time, it takes 4 – 5 hours to recharge the battery. Come to think of it? If you want to get 40 minutes’ worth performance from this Black & Decker LSTE525 string trimmer, you need to purchase an extra battery set and keep it recharged for backup. This is a good strategy for power users who like to get done with the entire lawn in one go instead of waiting to recharge the battery over and over again. Why ‘Power Tool Buzz’ Recommends BLACK+DECKER LSTE525 Cordless Weed Eater? Impressive Torque: To offer loads of cutting power, BLACK &DECKER LSTE525 comes with improved torque power. Despite of the limited battery life, the company describes it as a ‘PowerDrive’ mechanism. Whatever the analogy is, it works fine. Multi Speed Control: This string trimmer has 2 phase speed control system; it lets you operate the unit at your desired speed. Of course, more speed = faster battery drain over time. Therefore, you need to prioritize your pass before you step up the trimmer at max speed. Trimmer | Edger: As stated earlier, the BLACK and DECKER unit can be converted to an edger with the help of handle twist motion. 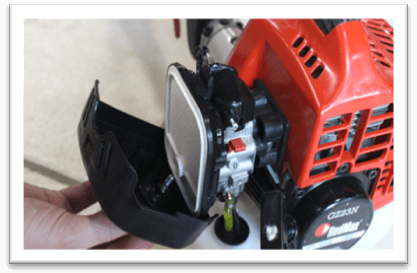 This is a nifty feature that offers precision control cutting over hard to reach areas – especially where conventional a lawn mower head cannot go easily. Ergonomics: All thanks to ribbed soft rubber grip and adjustable shaft length, this string trimmer exerts minimum stress on the wielder’s wrist, while offering long hours of uninterrupted use time. 2 Speed transmission control system. Automatic EasyFeed system for improved performance. Comes with remarkable value for the money through different combo deals. Each brand new unit of the BLACK & DECKER weed eater carries an official company warranty. Expensive variants of the same trimmer model offer Trimmer + Edger system. Battery time averages at 20 – 30 minutes max on full charge. Make sure you have bought an extra battery set for long operation durations. EasyFeed system in some units is faulty. Beware! 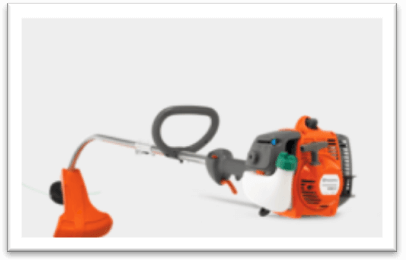 Although slightly expensive above average price in the market, Husqvarna makes it up by offering a classic blend of reliability, quality and amazing weed eating capabilities. The 128LD series exhibits a 28 CC – 2 stroke engine that averages around 1 HP. You also get a state of the art design with maximum visor coverage at the bottom foot area so that pebbles and debris cannot harm you, or others around you. On the upside, you are chipping your cash in for a quiet state of the art string trimmer which normally outperforms other units within the same price range. If you are doing the minimum maintenance, I can guarantee that this Husqvarna 128LD will work for at least 2 – 3 years without any issues. “Maintenance” implies that you are keeping up with cleaning the spark plug, making sure the carburetor is in good condition and checking all the vital parts such as; air filter, fuel filter etc. for any signs of setbacks. You will also need to mix the oil and fuel since this Husqvarna unit is a 2 stroke gas powered product. Just to be on the safe side, a premixed combination of oil & fuel is available in abundance at online retailer websites, and also at local hardware stores. However, since I wrote down a guideline on how to mix string trimmer fuel and oil, you can read that and follow the instructions to safe yourself some cash and hassle on the side. To dole out maximum performance, Husqvarna 128LD is designed in a hybrid form. The shaft is straight but it is very easy to maneuver it because of the weight distribution factor. Of course, this model has an adjustable shaft that comes with a simple screw that can be tightened at preset heights. Beware of Choking Hazards: Like any other power tool, Husqvarna 128LD weed eaterer deserves frequent check-ups and maintenance. Although there is minimum gum formation inside the fuel lines and the carburetor compartment, if you notice any signs of choking, you can run a small dosage of fuel injection cleaner through the lines. If the problem still persists, it is most likely because of the fuel filter. You should get a replacement filter and a new spark plug just to be on the safe side. On an overall level, this string trimmer relatively does not bother users with any major issues or repair related concerns. Husqvarna is also offering limited warranty on all their brand new product purchases to help users with any problems down the road. I should call it Smart Start feature because that’s the way it is labelled on the Husqvarna 128LD box packaging. Basically, it is the same easy stat feature that’s offered in most of the power tools these days. This Husqvarna weed eater is offering a contrast of string pull method and an unbeatable sure fire way of turning on the engine despite of the worst climatic conditions. By the way, like a motorcycle engine, there is a ‘Choke On/Off’ knob in the Husqvarna 128LD gas powered string trimmer. You can pull the choke if the engine is not turning over at any point. This is also a handy feature to avoid cord breaking scenarios where the engine is rendered useless for as long as the starter cord is not installed again. As mentioned in the product name, the Husqvarna 128LD comes with a 17 Inch coverage area. It is more than enough to get by with maximum coverage in minimum time duration. The only downside of larger diameter is that you are not able to make fine cuts/ trims across hard to reach areas easily. By default, this Husqvarna model uses a 0.95 diameter trimming line. The average diameter of most of the trimming lines is 0.8, but Husqvarna goes an extra mile to proportionate the engine power with the size of the string line at the bottom. Like other Husqvarna Co. power tools, the Husqvarna 128LD series is not an exception when it comes to pricing. Do expect to pay a pretty penny for top of the line performance. Exceptional performance due to superior 2 stroke gas powered engine. The line diameter averages at 0.95, which offers faster cutting in minimum time duration. If maintenance is carried out on frequent intervals, this weed eater can work flawlessly for 3 years without any major issues. Start Smart technology guarantees easy engine turn over. The shaft can be attached with a Husqvarna saw pole and other power tools easily. Since the string trimmer involves a 2 stroke engine, you will need to mix oil and fuel on your own. Smart Start technology is outdated. Some users have reportedly complained about the fuel filter’s tenacity to detach and run lose inside the compartment. In terms of affordability, Ryobi’s One+ 18 V string trimmer fits right underneath the Black & Decker weed eater that I mentioned earlier. 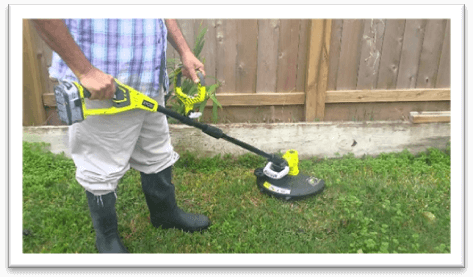 This unit is available at half the ongoing market price of B&D string trimmer, but it also means that you’re going to have to make a lot of sacrifices on many nifty features. For $50, you are signing up for a simple-assembly string trimmer model offered by your’s truly: Ryobi Co. 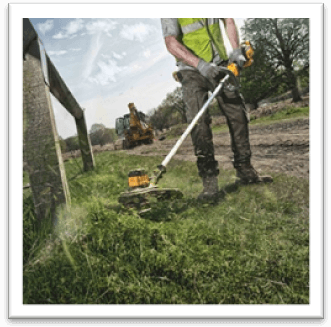 The Ryobi trimmer carries a lightweight profile, alongside a contemporary blend of curved shaft and straight rod design. You can make quick movements and cut regular grass weed easily for as long as the battery is churning out juice. The Ryobi One+ is not made for everyone’s liking; you need to know the tool before buying it and eventually reaching a conclusion. As the saying goes, you should not expect a lot from this string trimmer; I only recommended it for regular users who get by with minimal yard trimming. Power users need to look elsewhere because this model clearly lacks a lot of essential perks which would making weed eating a breeze through the park. Ryobi One+ is ideal for those users who have or currently own the company’s other products. 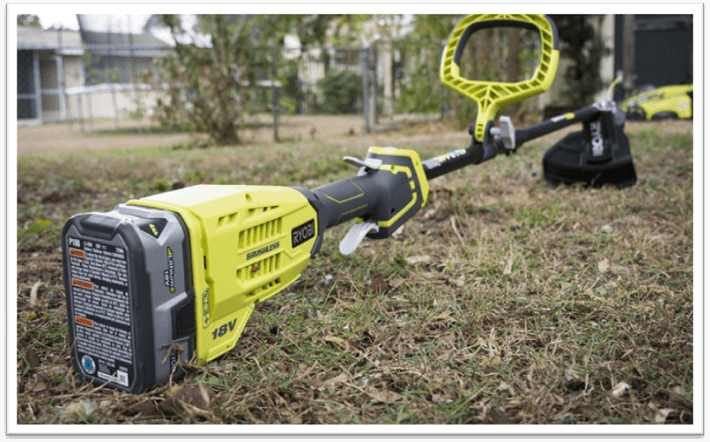 Especially, if you have a chainsaw, drill machine or any other Ryobi Co. power tool that utilizes the official Ryobi One+ battery, this string trimmer will work wonders for you. Since it does not come with a battery set, you can use your other Ryobi One+ series power tools batteries to operate the string trimmer. Having said that, the Ryobi weed eater tends to overheat if used for longer time periods. Be careful when you are operating this product during summer season as it can burn or scald the skin easily! The Ryobi One+ focuses on offering the most essential and basic string trimming functions by cutting down on “unnecessary” aspects of the product itself. Therefore, the unit is very easy to assemble right out of the box. The guard can be installed by slipping it over the metal protrusion at the base. Likewise, the shaft and other core parts of this string trimmers can be tightly held in place with the help of spring bolts and conventional screws. At some point, you will need a hex wrench to fix the shaft to the center assembly area. This is a once time process and doesn’t take more than a few minutes to complete. The good thing is that this Ryobi string trimmer has an adjustable support handle. It pivots up and down on its own axis, and the shaft’s height itself is customizable to the users’ liking. The company offered these two major features for maximum ergonomics and performance output on the field. By default, Ryobi One+ 18 V string trimmer’s line is adjusted at 11 Inches diameter inside the guard. You can increase the diameter up to 13 inches for maximum cutting swath. This nifty little perk is handy when you want to cut weed in narrow areas where a larger swath size simply won’t do the job. Performance wise, the tool is going to offer a simple operating mechanism for well over 20 – 30 minutes on one full battery charge. Of course, if you have a separate Ryobi power tool battery, you can practically use the trimmer for 1 hour by swapping batteries. However, we have the main issue of overheating, which defeats the purpose of long usage timing. Regardless, one 18 V battery has enough power to make it worth the effort. Some users have had remarkable experience with the Ryobi One+ weed eater, while others expected more from the company. You should know that in latter case, these “unhappy” customers are mostly those people who did not do any background checks or didn’t have their expectations aligned with the product’s performance. As far as safety goes, the guard size is big enough to cover most of the trimming line’s rotation area. However, you should always pay attention to the line’s rotation direction to prevent clippings, pebbles and any other harmful particles from going in your direction. What bothered me and other ‘Power Tool Buzz’ reviewers was the fact that there was a lot of vibration in the Ryobi One+ weed eater handle. This hindered our ability to firmly hold the handle because of a numbing sensation that kicks in precisely after 7 – 10 minutes mark. If you want to avoid any passive internal limb injuries, you should wear thick padded gloves before using this unit. 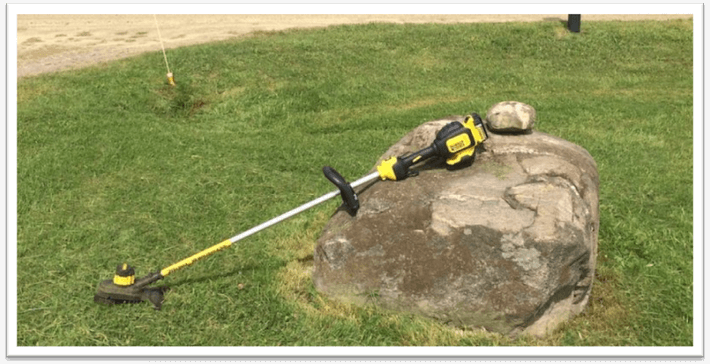 Why We Recommended Ryobi One+ String Trimmer? This one is basically recommended to casual users who have small yards to take care of. The entire product and package is not a huge win over scenario for seasoned users, so they should definitely stay away from it. On the bright side, you are opting in for a bare tool which works as advertised. Ryobi Co. did not misrepresent any specific feature or anything in particular. In case this unit breaks or ceases to work, you can afford to buy a new one, instead of spending too much on repair cost. The overall user experience can be refined by hooking up this Ryobi string trimmer with official Ryobi One+ batteries. Keep in mind that the string trimmer can run hot if it is constantly being used. Give enough gaps and pauses between your passes on the lawn and you will be pleased with the product’s performance for over a year or so. The company also installed bigger 6 Inch diameter rear wheels so that twisting the snow blower on its own axis is easier when you have reached the end of a walkway or a driveway. Can be combined with other Ryobi One+ series company batteries. Ryobi Co. is offering a 4.0 Amp-Hour battery variant at select real life retailer stores. Comes with a brushless motor design for relentless performance. String swath diameter is adjustable between 11 Inches - 13 Inches. Variable speed trigger offers 2 step speed motion. Only suitable for medium scale work. Main housing assembly can overheat easily if used for long time durations. At the time of reviewing the EGO Power+ 56 V string trimmer, we were completely new to the company’s products. We were reluctant at first, but since the unit bragged about that whole “56V” thing, the vote was cast in the favor of EGO Co.
A bit of background research revealed that they entered the power tool market somewhere in 2013. 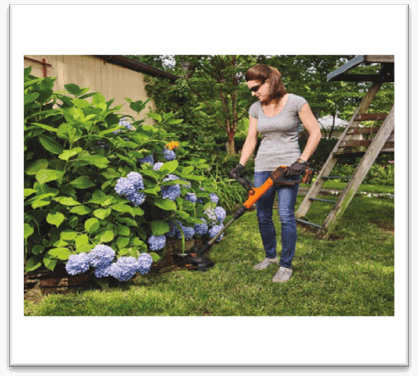 The company has since introduced a bunch of high profile products, mostly weed eaters and string trimmers, for a large variety of power users out there. EGO Power+ mostly manufactures laser guided electric tools, work benches and garden related accessories. Most of their string trimmers were only available at Home Depot, but then they expanded the supply chain to Amazon.Com, Lowes and other available platforms. Anyhow, EGO Power+ string trimmer boasts of a 56 Volt battery that packs the performance of your average car battery. 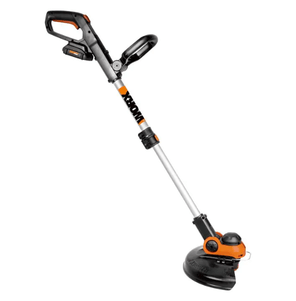 In terms of Amp-Hour rating, you are looking at a variance of 2, 5, and 7.5 Ah – given that you have purchased a high tier model of the same string trimmer which I and other co-writers reviewed at ‘Power Tool Buzz’. Viola! Think of introducing brand new technology in conventional electronics. The inside of the EGO Power+ batteries are made in ARC shape. This is to make sure that maximum heat is dissipated for unparalleled on-field performance. The only downside of owning a EGO string trimmer, regardless of the voltage version, is that you need to own official EGO chargers. Other regular chargers don’t work well with EGO+ batteries and they may take several hours to reach the full charge stage. But you know what? If you are going to buy EGO Power+ battery charger, you can “fast charge” the string trimmer’s battery in under 20 minutes! This is the most likeable and value driven feature that we have seen in any power tool to date – it’s not just string trimmers that we are talking about. The company also added gauges on the charger and the main panel to keep users posted about battery level. EGO’s other string trimmers that were released over a year ago had a 12” coverage diameter. Since then, the line has increased to 15”, which comes off as a slight advantage over old gen models. They also added a bump protector that works in favor of users looking to do some edging and pruning after main trimming session. The latest model of EGO Power+ string trimmers have their batteries mounted at the end of the shaft in such a way that they are facing the users. This is to let EGO weed eaters keep tabs on battery level. Likewise, the engine is installed at the opposite side of the string end, which means that the prop shaft is not going through the main tube like majority of the string trimmers these days. EGO wanted to keep cabling and tubing side by side instead of creating a mechanical hassle. State of the art design unlike any other string trimmers. ARC battery offers maximum heat dissipation for uninterrupted operational timings. Comes with official EGO Power+ 3 year company warranty. 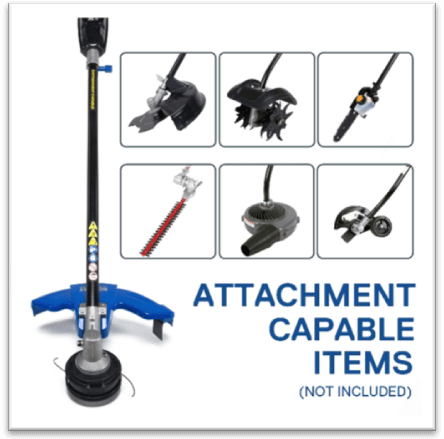 This string trimmer is available in 5 different variations to help suit the needs of different users. Comes with Fast Charging technology as seen in mobile phones and laptops these days. EGO Power+ string trimmer batteries basically require the purchase of official EGO Power+ proprietorship battery charger. Of course, my best string trimmer review would have been incomplete if I didn’t mention DeWalt’s products. They are not offering any monetary incentives; it’s just that the company has a knack for exceeding user expectations in terms of quality, performance and high degree of affordability. On the outside, Dewalt DCST920P1 series offers a sleek visual appeal of yellow and black. It is the same color combination which the company has been using on practically every line of power tool that they have released to date. This model is no exception in that sense. At 20 Volt operational power, the Dewalt DCST920P1 model comes with a decent capacity to handle a variety of common weed issues. The motor is optimized to help get rid of excessive growth of paraphernalia on the yard for as long as it is covered within a staggering 13” swath limit and 0.8 – 0.95 string line size. 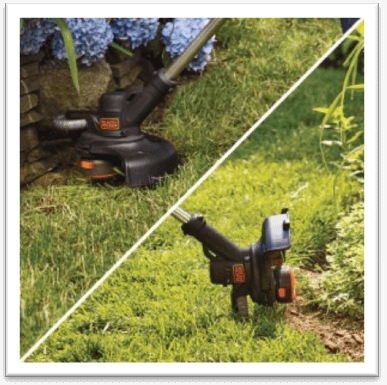 On top of that, the trimmer price sits right in between where potential shoppers can be sure of making a one-time expense on a complete string trimmer package which doesn’t require any additional spending on extra accessories. Unlike Ryobi One+ , this Dewalt weed eater comes with a pre installed battery that is ready to offer the finest trimming experience on the get go. Speaking of trimmer guard size, Dewalt should have increased its coverage area to prevent any possible injuries from occurring. You need to keep the rotation of the string’s direction in your mind, and position yourself accordingly so that the pebbles and debris are pushed in the opposite direction. Just like other contemporary models, Dewalt DCST920P1 20 Volt cordless string trimmer comes with variable speed options. The two step speed mode alters the string’s rotation between regular and fast mode so that you can get a sense of control during your yard weed eating ventures. To harness maximum power, thsi Dewalt string trimmer exhibits brushless motor design. Since this is an electric string trimmer, the company wanted to increase the motor’s performance without taking too much toll on the battery life. For this very reason, they used a brushless motor mechanism which generates more or less the same level of performance as seen in the case of traditional engine powered units. Great build quality with high degree build standards. Battery life is good as compared to other string trimmers within the league. Dewalt DCST920P1 comes with 3 years warranty, 90 day money back policy and 1 year free servicing offer. Trimmer guard is a little too small from safety perspective. The above list of the best string trimmers concludes only those models that we found satisfactory against a preset number of requirements. It is not necessary for you to fall in love with any model because we said so; do your own research, ask around and read verified user string trimmer reviews to get the best value for your hard earned money. Good luck and please share your thoughts, or questions through the comments section below.